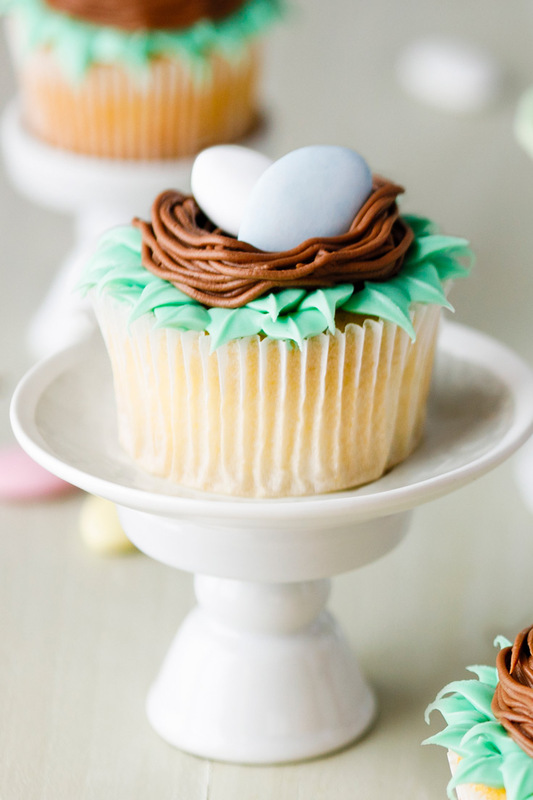 Using a “grass” tip to pipe the frosting on these cupcakes makes them into a bird’s nest. 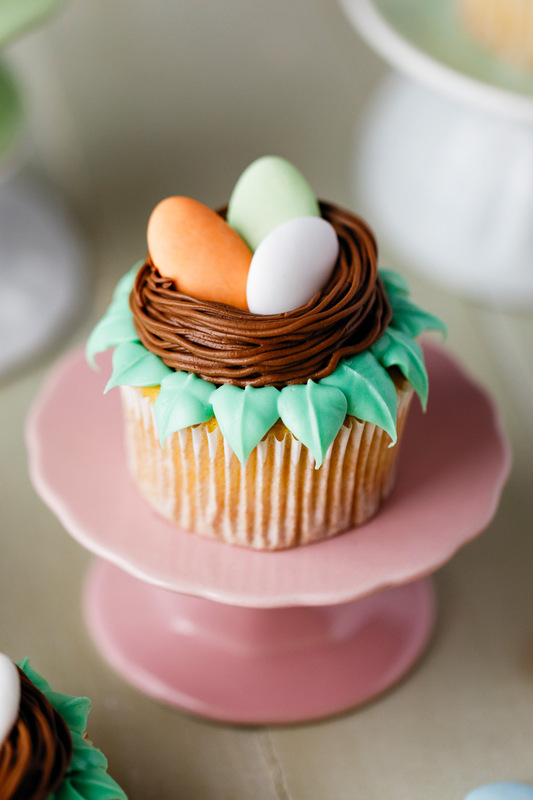 Fill the nests with pastel French Chocolate Dragees and/or white French Almond Dragees for the eggs! 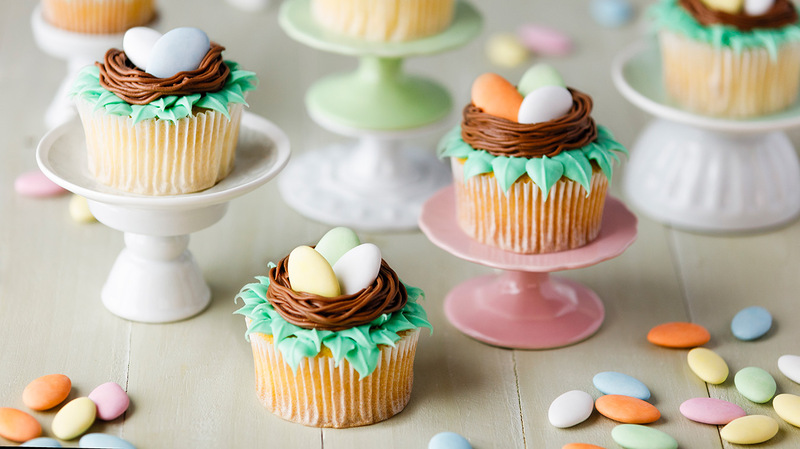 A fun way to bring spring to your cupcakes! Preheat the oven to 350℉. 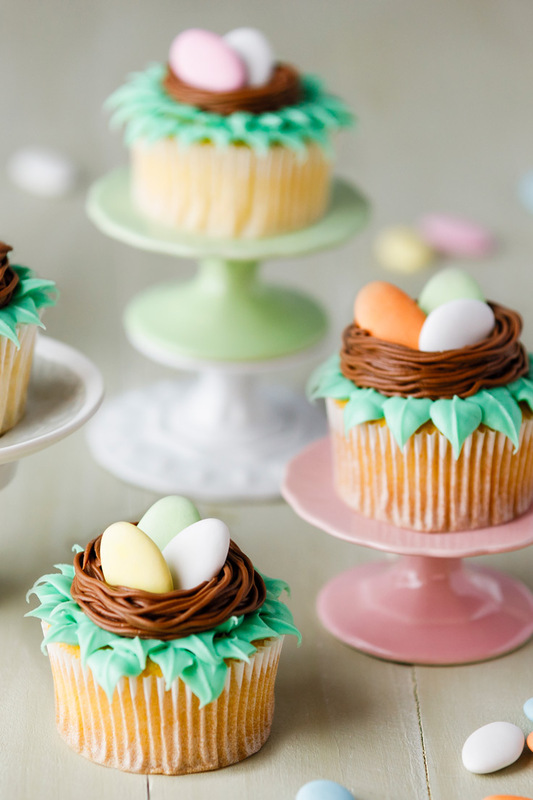 Line a standard muffin tin with cupcake liners and set aside. Sift the cake flour, salt, and baking powder. Stir in Pistachio Flour and set aside. Add the egg and mix to combine, scraping the bowl. Add Madagascar Bourbon Vanilla and Pistachio Extract. Mix to combine, scraping the bowl. Alternate adding the dry ingredients and the milk, beginning and ending with dry ingredients. Mix and scrape the bowl until the mixture is thoroughly combined. This batter is runny, don’t worry, the final product is light and delicious. Using an ice cream scoop, place a rounded scoop into the lined muffin tin. 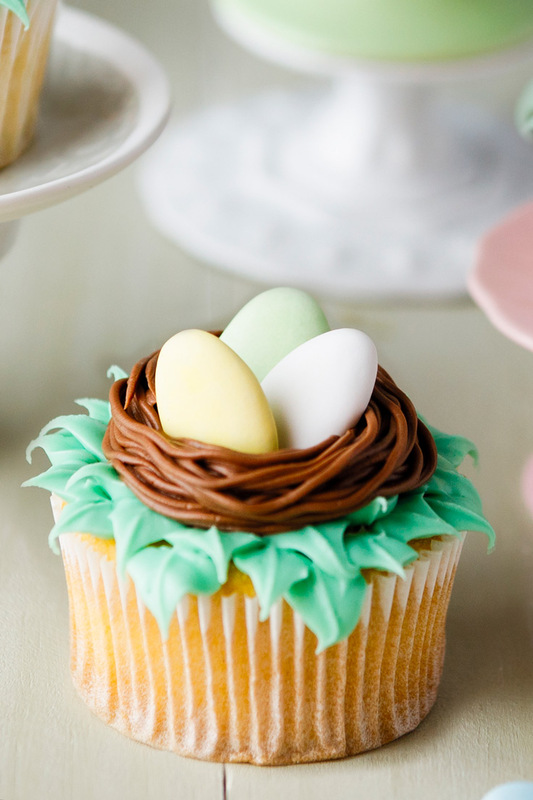 Bake for 15 minutes, or until the top of the cupcake is firm and the edges are beginning to brown. Stir Pistachio Butter Artisan into Swiss Buttercream until evenly mixed.